Another day, another popular app lands on Windows Phone 8. In this case it’s Find Me Coffee (www.findmecoffee.com), which has become the go to site for finding, well, you guessed it, coffee. 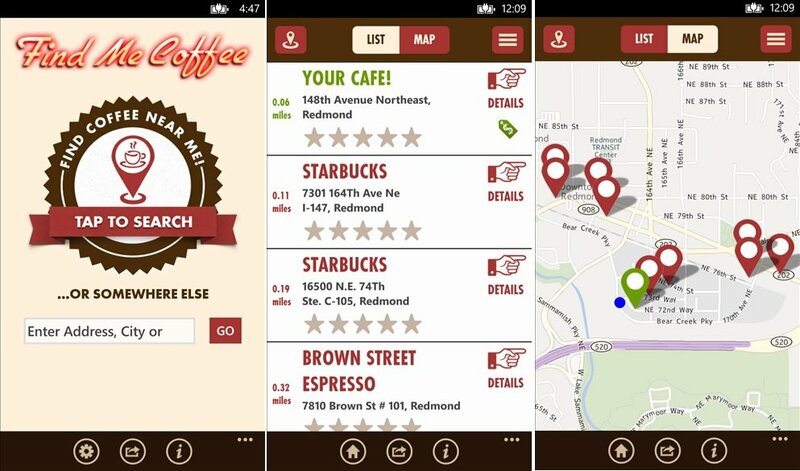 The service is considered to be one of the largest databases in the world for coffee joints and users can sort by other criteria like if it is open 24 hours, has Wi-Fi or even seats. The app has been on iOS and Android for quite some time but now the company has brought it over to Windows Phone 8 (they’re even advertising it on their site, natch). Now some users will note that even though they flattened some of the icons for the most part this is an iOS port. For some of you, you’ll pick up your pitchforks, but we’re not as dogmatic when it comes to UI design and occasionally we like to have something that stands out. Plus some companies prefer to have their image and brand consistent across platforms for consumer familiarity. Sure, it would have been nice to have a completely re-designed app for Windows Phone 8 but then again perhaps the company did not want to spend the money. That’s something to keep in mind: would you rather have an iOS port (that still looks great) or nothing at all? We’ll take the former. (Also think of your average consumer switching from iOS and Android and see if they care). Regardless of how it looks, the app performs well. It’s fast to load and is a must-have app if traveling around the city. It also sports a double-wide Tile and the graphics are quite sharp. While it doesn’t have any advanced Windows Phone 8 functionality like TellMe integration, we’re just happy to see the app here and working well. 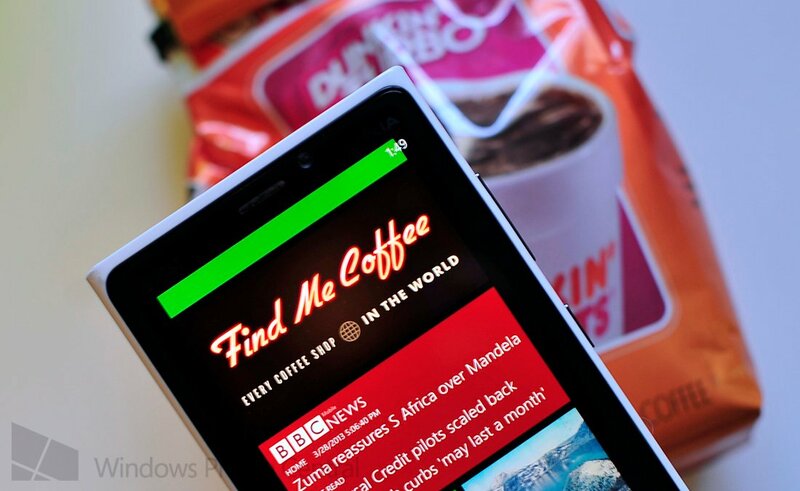 You can pick up Find Me Coffee for Windows Phone 8 for free (ad-supported) here in the Store.